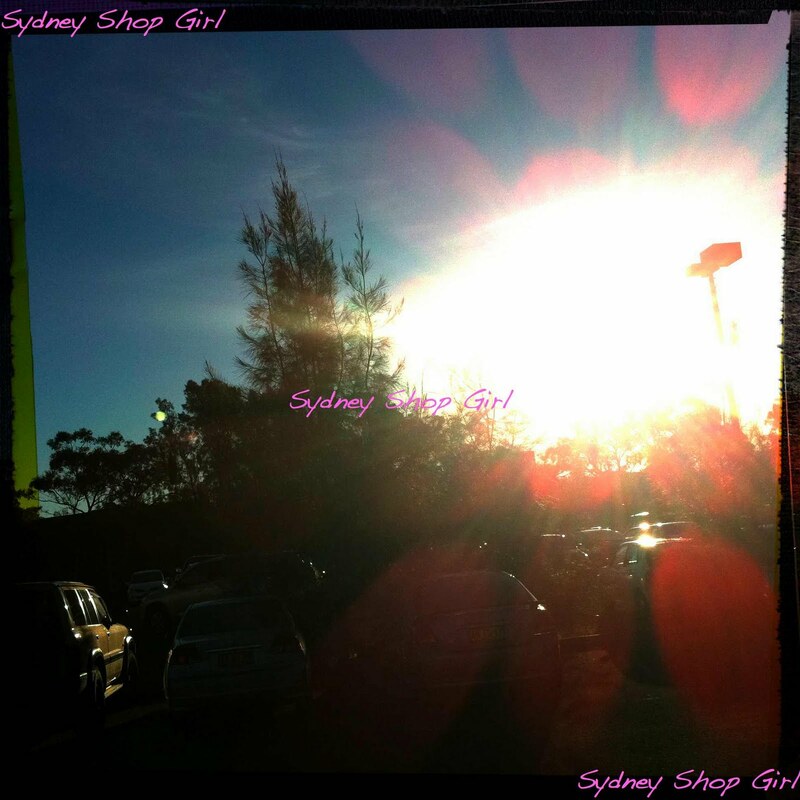 Sydney Shop Girl: Yet More Trying Times. When it comes to pregnancy and fertility, I am consistent if nothing else. I went for a routine 8 week ultrasound this morning confident that 6 solid weeks of nausea, bloating, constipation, fatigue and crankiness had to mean something positive. It didn't. The heart beat that was there 2 weeks ago was nowhere to be found. I am going to surgery tomorrow. The world is pretty messed up place to me at the moment. I'm seriously questioning a God that puts a woman through 2 pregnancy losses in one year. The sadistic cruelty of that second pregnancy being seemingly normal one moment and then non viable the next. How do you make sense of the world in times like these? I'm not really trying. I first got the news whilst lying down in the darkened ultrasound room. It was broken to me by a young radiographer who possibly never had to go through what she was now telling me. It's hard to express your true emotions when you're in a pretty compromising position. Politely nodding whilst speechless at the news was all I could manage. I got myself dressed and waited in the Quiet Room as my report was being typed and the radiologist was getting things ready to meet me. I'd never noticed the room on all the previous occasions I'd been to the clinic. He was going to be a while. I was allowed to go for a walk to get some air. The room would be mine when I returned. Outside, life continued. The sun was still shining, the traffic still constant, the traffic lights still favouring cars not pedestrians. I had promised myself a chocolate caramel slice after the ultrasound. Back when I was cautiously confident that I was just walking my full bladder and bloated stomach to a routine scan where I would see my baby's hear beating on a flat screen television. I got that caramel slice, I ordered it in my most normal everyday voice. Not a quaver, not an awkward swallow. I also ordered my first medium skinny mocha in 5 weeks. The time for tearful speech was back in the Quiet Room when I made all the phone calls I had to make. Sent the emails and messages I had to send. The love and support I received in those interactions made me realize that the cynics who curse society's dependence on the electronic media have got it very wrong. The radiologist arrived and we met in the Quiet Room. If there's anything good about mascara and eyeliner running halfway down your face under your glasses, it is that it breaks down patient doctor barriers. The conversation was not as hard as I thought it would be. The arrangements were made, people were phoned. I got back to my office, organized what I had to and drove home. And here I am. I'm going to hospital tomorrow and will probably be out of action for a week or so after. It is time that I will choose to spend wisely. I will not be dwelling on what God is trying to tell me. Nor will I be questioning my role as a woman in modern Australia - the perennial buyer of chic gifts for other people's children versus the indulgent mother (eventually) of our own much wanted child. I will try hard to ignore my feelings about the fertility of the world in general. I will not try to justify, to understand, to rationalize. The true answers will probably be beyond me for the rest of my life. Instead, I will look after myself. Heal and recover. Do things that make me happy. Spend real time with Mr SSG. Be kind to myself. I will be back on the blog when the time is right. Dear SSG, I am so sorry for your loss. What a dreadful time you must be going through. I am only happy that you have loving friends and family to support you. I am very sorry to hear this news. I hope everything goes well in surgery tomorrow and you find comfort among the people you love. I'm sorry to hear that you're going through this again and hope that you allow yourself the time to grieve whilst surrounded by your loving family and friends! I know nothing people say can make you forget the "what could've" thoughts running through your mind about a much wanted baby when you experience loss for the first time and can only imagine what you're having to go through this time around. I think you're right in not trying to explain or rationalise things. You and MrSSG will be in my prayers. SSG, my heart goes out to you. I never know the right words to say but I'm so sorry that you have had to go through this experience and hurt again. ps long term reader,but don't often comment much. I am so sorry to read this post and hear of your loss. Trite phrases don't seem suitable right now so all I can do is send you love, lots of hugs and all my prayers. Keep believing you will be a mummy someday and it will happen - S and I aren't having much luck lately either but if that fertility God of mine comes through with the goods then I will be gifting on to you (be warned, its not the prettiest). Take care and God bless you SSG. I'm very sorry to hear this SSG. There really are no words to ease the pain. You and Mr SSG are in my thoughts. thank you for writing about such a personal and sad experience, i really feel for you and Mr SSG and wish there was something I could say to make you feel even slightly better. Just know that friends (in real life and in the bogosphere) are thinking of you. Stay strong and look after yourself =( So very sorry for your loss. I'm so sorry SSG, it's heartbreaking news. Our thoughts are with you and Mr SSG. Love to you and I will think of you tomorrow. I was very saddened to read your blog update. All the very best for tomorrow. Really sad news. I'm very sorry for your loss. SSG you really are amazing - this post is very detailed, and I know a lot of people will be very grateful to you for sharing your experience in such a way. So sorry to hear this SSG. Thinking of you and Mr SSG. SSG - long time reader, never commented before but so very sad to hear this news...just wanted to send my best wishes. Take care. Life is so cruel to 2 people that clearly are meant to be parents. Please take care and my thoughts and prayers are with you. SSG & Mr SSG, I am so sorry to hear of your loss, and your post has me tearing up north of the border for you both. I haven't followed your blog long enough to pick up on this before, best wishes guys, and many positive thoughts coming your way from this part of Aus. Oh SSG, I send you and Mr SSG my love. So utterly heartbreaking to hear of your loss, I cannot begin to imagine how you personally feel. I hope you can remain positive in spite of this pain and very soon, be blessed with a wonderful gift. I am very sorry to hear this news. Oh SSG, I'm doubly crying right now. The same thing happened to my girlfriend this week. She lost a baby less than a year ago. We were out to lunch for her birthday on Monday and she announced she was 12 weeks pregnant. Then texted the next night to say the baby had died. SSG I am so sorry for your loss, and thank you for sharing it. I have a friend who has endured years of trying including IVF and only very recently told anyone. Beside her husband no one knew and as a result, she missed out on the support that we would have all loved to give her. The world is full of people who will encircle you in love and kindness at the hardest points in your life. Opening up to them is not some kind of burden, it gives them the opportunity to show how much they love you and help you do whatever you need to heal. While I haven't got to the point of trying myself, I know that for various reasons the odds are stacked against me. However the braveness of women like you and those others of my friends who are struggling I know that I too will survive whatever the future brings. I hope today goes as well as possible, that the next few weeks show hope through the grief and that as soon as possible, you are blessed with the most wonderful child possible. SSG, I am so so so sorry for your loss. I can't imagine what you're going through and I won't pretend to, but you are in my thoughts and prayers. Take care of yourself. Ms SSG - I'm so sorry to hear of yours & Mr SSG's loss. I hope you take care of yourselves, and take your time to grieve in whatever way is right for you. I can't even begin to imagine how it must feel to lose not one but two in the space of a year. I really don't know what to say, what to think. My goodness. I think as women we sometimes take for granted the whole "having babies thing". We spend years trying not to get pregnant, thinking that it will happen instantly when we want it to. I'm pray that one day soon God will give you both the gift that is parenthood because if anyone deserves it, you and Mr SSG do. I'm so very sorry you know the heartache and know it twice over. Your bravery is inspirational SSG. Oh my God, I just read this. I'm so, so, so sorry ssg. I had no idea, my lack of blog reading the past week has left me in the dark. Hope you are ok and smiling. So, so sorry for your losses, SSG. My thoughts are with you. May you find much comfort, and soon. The loss of a child is always painful. You can't make sense of them and it is just so unfair. You will have a baby. Much love to you and Mr SSG at this tough time. Take heed of your own advice and give yourselves time to heal. I'm sorry, I'm late to this post. I hope the op went well for you and you're coming out the other side by now. So tough to know what to say. I've been where you are and I wish I'd known how to say it all out loud like you have, so thank you for sharing - in some way it puts my grief out there too. I've had seven pregnancies and I have two living children - the newest is just 3.5 weeks old. I say this to give you hope that there is "the other side" to your grief and I hope with all my heart that you will soon have a living child to love.